Lots of Christmas presents here is a bucket for recycling batteries on the Library Reception Desk. The University Estates Department then collects and empties them when they are full and disposes of them in an environmentally friendly way. 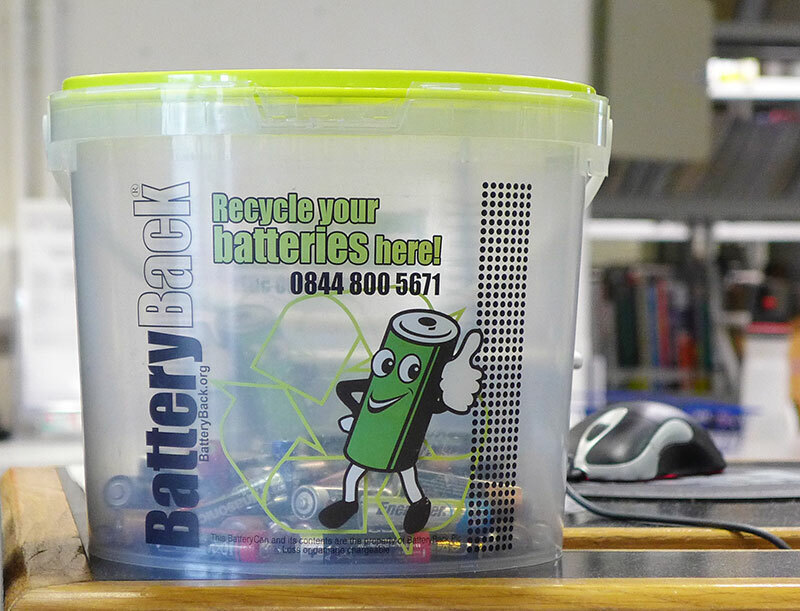 Supermarkets often have collection pots as well, so there is always a safe place to drop off your old batteries.